Sailing into oblivion or a scam? 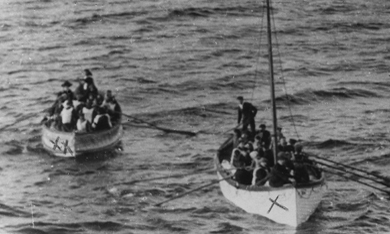 Not all aboard the Titanic was as it seemed. The fourth funnel was a dummy and the ship almost certainly had 50 stowaways on board when it foundered. But did she strike an iceberg? Tony doesn’t think so. RMS Titanic was the White Star Line’s answer to the regal Mauritania and Lusitania during the golden age of transatlantic crossings. Her sister ship, Olympic, ran aground off Cornwall and that was hushed up for 75 years. Tony’s conspiracy theory will have you Googling like mad when you get home and is a really thought-provoking talk. Despite the tragic loss of life, the talk is kept light hearted and, as with all these characterisations, Tony searches for the humour in the situation. 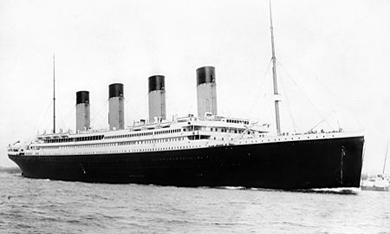 The White Star line only had the boat insured for third party, fire and theft. Now there’s a curious thing! £1.5 million to build and they scrimped on the insurance premiums. A switch including substitution of crucial components? Which ship lies at the bottom of the North Atlantic Ocean? Prepare to re-think the standard accounts.